From Batman to Spiderman, it seems like men’s tights and leggings or “meggings” are no longer restricted to only super heroes. Welcome the new phenomenon that Express, UK designers Luke Shipley and Tom Hunt, who established sTitch Leggings in 2012, called “a natural evolution from skinny jeans. From Superman to Batman and even Robin Hood, the notion of "men in tights" has become popular again so get your guy these trendy new things if he's that way inclined. Known as "meggings", men plus leggings, geddit? 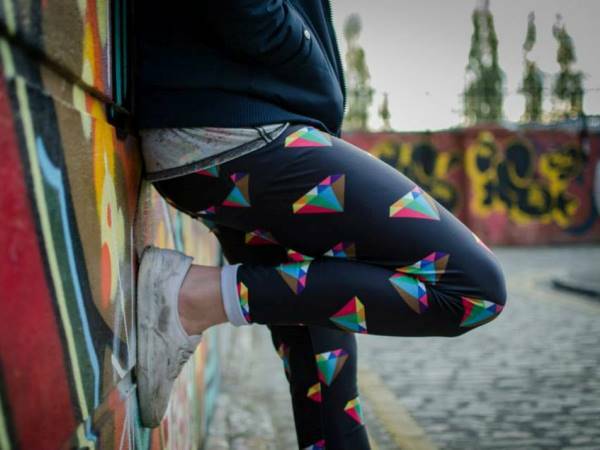 !, the new fashion addition has been said to be the "natural evolution from skinny jeans" designed by K designers Luke Shipley and Tom Hunt, who established sTitch Leggings in 2012, according to Women24. Stars like Russell Brand and Lenny Kravitz have been rocking the look for years, but the trend actually dates back to royalty with King Henry VIII to be one of the firsts to proudly don the skin tight bottoms, known as "tighty whiteys" back then or white tights to be more specific. However, times and fashion trends have passed and evolved drastically. Men wearing skinny jeans has become quite a hot topic of discussion and surely the idea of "meggings" is set to have tongues wagging too. Are "meggings" the next wardrobe must have for men or should these be restricted to cycle tours?